Tips on Keeping your boat cover clean and long lasting. So, you just bought a brand-new cover and you want to keep it nice and clean while extending the life of the cover. Here are a few tips that will help you get the best use out of your cover. Keep your cover free of any and all debris such as limbs, leaves and other particles that could weigh your cover down or damage it with scratches and tears. When leaves and other particles bed on your cover they are prone to not only weigh your cover down, causing stress, but they can also cause mold and mildew issues. If you do experience mold or mildew on your cover, you can clean it with a pressure washer on a low setting with a mild detergent and soft bristled brush. We DO NOT recommend putting your cover in a washing machine of any kind. If you have more stubborn stains that do not want to come out using the mild detergent, you can use 1 cup of white vinegar and 1 cup of borax powder mixed with 2 cups of water. Spray the mixture on the stubborn spots, let it sit for 10 minutes and rinse. Use a proper support system to prevent water pooling on your cover. You can use support poles, or a Y-strap support system. 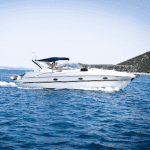 With the use of a support system you can prevent water damage to both the cover and your boat. No matter how water repellent a material is, when water pools and sits on your cover for a period of time, it is bound to seep through. But if a cover is supported, giving it a “tented” effect, then the water will bead up and roll right off the cover, preventing any pooling and damage. Always make sure your cover is DRY and free of any wet debris or moist particles before rolling it up and storing it in your protective storage bag. Making sure the cover is dry before putting it in to storage will help to prevent mold and mildew from forming. Adding extra padding to any stress areas, such as around the windshield, trolling motor or any area that may need additional reinforcement, will help to prevent premature wear. 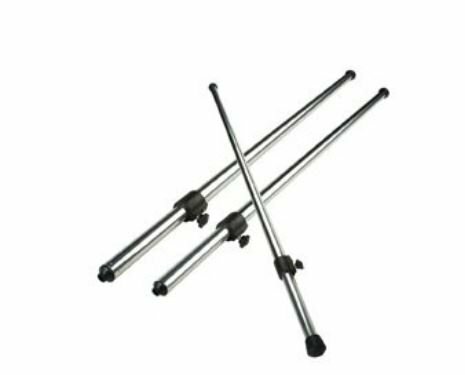 You can use the reinforcement/repair kit that is offered on our website. As your cover ages, we recommend using a water-repellent product on your cover. This will help your cover’s water-repellency to last longer. The 303 Fabric Guard works to maintain your material’s durability, while adding additional repellency protection. 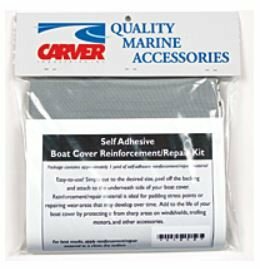 Check out our website at boatcoversdirect.com, where you can find the best Support Systems, Fabric Cleaner and Fabric Guard available.